SNAFU! : Crazy idea of the day. The US Army should make the 25th ID amphibious. Crazy idea of the day. The US Army should make the 25th ID amphibious. Crazy idea of the day. The US Army should seriously consider buying the 25th Infantry Division amphibious combat vehicles! You say I gest? You say I've lost my mind? Then you don't know your history! The US Army has a proud but mostly underplayed amphibious assault story. Oh and I'm not talking about Rangers landing in zodiac boats, or the Normandy landings but of them having amphibious assault battalions during WW2, during the Korean War and even up till the beginning of the Vietnam War. Don't believe me? Check out the official Army history of "Amphibian Tractor and Tank Battalions during the Battle of Saipan" (here). So why is a Marine that jealously guards Marine Corps roles and functions want the Army to make this move? Simple. There is no such thing as a crowded battlefield when it comes to allies. Giving the Tropical Lightning boys some ACVs will allow them to supplement and exploit initial Marine Corps landings more quickly. It will allow them to easily integrate into the sea base. It will foster closer ties between the Marine Corps, Navy and the Army...and finally it will allow us to more easily blunt what I see as an overwhelming advantage that Chinese armored formations will have against a Marine Corps that is becoming "aviation centric". 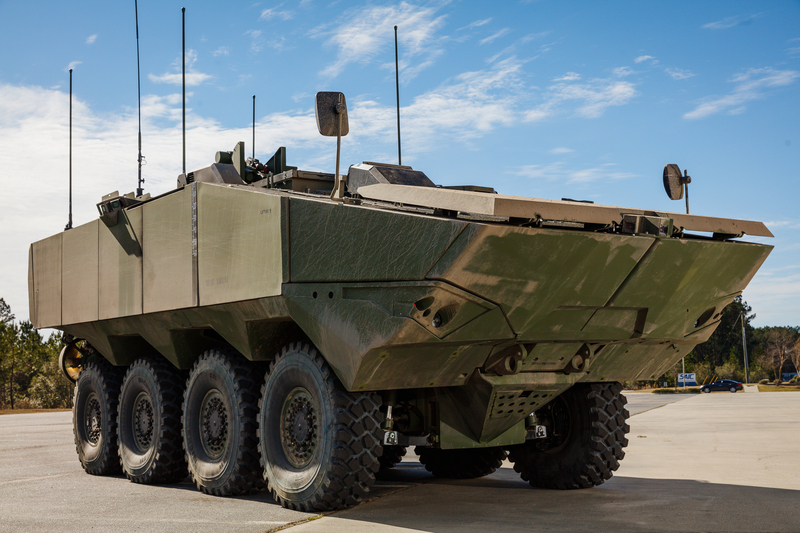 I won't even touch on the idea of getting the Army to bite on a Marine Corps vehicle which will make training/supply chain much more manageable and the upgrade/family of vehicles easier on the budget! One Army division that is amphibious in nature? Against a backdrop where Air Assault is no longer viable as a forcible entry option? Against the backdrop of the Marine Corps shedding armor and becoming more aviation centric? As a backup if distributed operations/expeditionary squad thinking fails horribly? I think that time has finally come. Especially if we ever have to cross swords with China...a fight I think is coming sooner rather than later.